Buy this beautiful Gordon Highlanders poppy badge with the Regimental emblem inlaid on the metal poppy shaped badge. It also has the Gordons motto of By Dand below the cap badge. It attaches easily at the back by a butterfly clip. 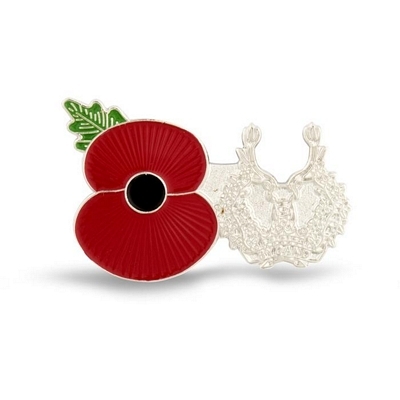 www.poppypins.co.uk who support The Royal British Legion by donating part of their profits. Visit our Gordon Highlanders Museum page.